It seems like only yesterday we were welcoming Prince George to the world and suddenly, his first birthday has crept up on us. A feeling a lot of parents will know all to well! To commemorate his first birthday on 22nd July 2014, the Royal Mint have released a £5 coin in Prince George’s honour. But we’ve gone one step further, and we’ve mocked up a whole party on behalf of the prince. To create an elegant look, we chose a soft colour palette of pastel blues, whites and milky yellows. The theme came to life with large balloons – a very popular option right now – complete with tassels and pom poms, to help create that party atmosphere. We know kids love a sweetie table and they are great because the colours can be tailored to any theme. 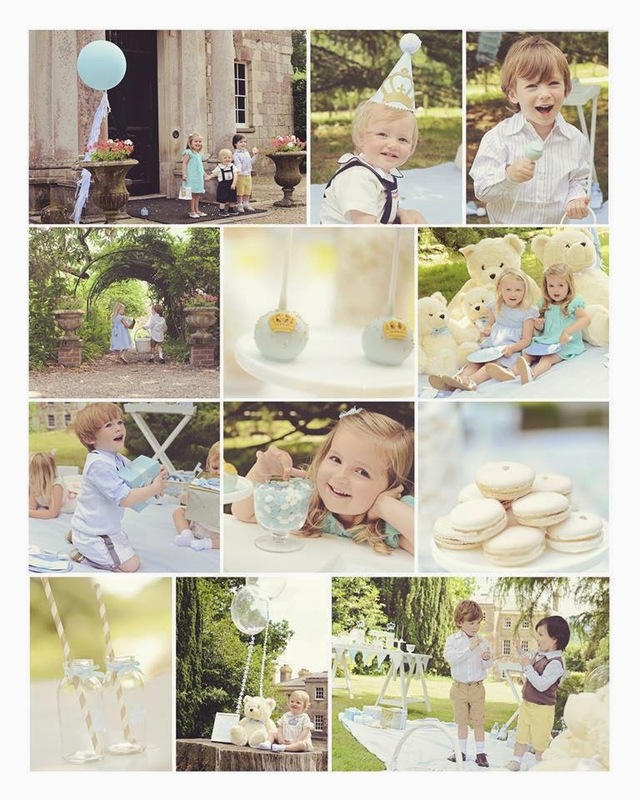 We chose white and pastel blue jelly beans, small pastel cupcakes and our personal favourite pieces, royal cake pops! The pale blue cake pops gave a nod to the prince as they were emblazoned with crowns, as were the macaroons – another party favourite right now. We had great fun styling the playful royal party, and even had a gorgeous Prince George look-a-like come along to enjoy the party with some friends. We only hope Prince George’s real birthday party is as much fun. Want to throw a party for your own little prince or princess? Contact us here.